Our Warrington base is suitably situated in the south of the town, in Latchford (WA4). Our Latchford base provides easy access to a large number of motorways and trunk roads in and around Warrington. 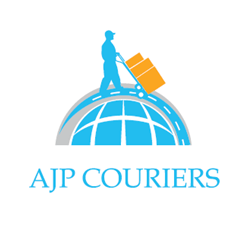 We provide a reliable, professional and cost-effective same day and next day delivery service in which you and your customers always come first. A number of our team have lived in Warrington all their lives, some for nearly 60, providing us with a great understanding of the local area and its transport links. Coupled with our extensive logistical knowledge, we can comfortably ensure that our customers can count on us to be there for them when it matters. Whether you’re a smaller niche business based in Great Sankey or a large tech firm based on Birchwood Park, we treat our all of our customers with the upmost professionalism and integrity, regardless of size or regularity of work. We specialise in and offer logistical solutions for urgent, time-sensitive, high value, fragile, delicate, oversized, heavy, awkward and difficult to handle consignments. Whether it is time sensitive medical samples that need delivering to a lab, or boxes of delicate cakes to be carefully transported to one of the national supermarket headquarters, we’ve got you covered! Wherever you may be in the Warrington area, one of our team of committed and punctual drivers can be with you within an hour of booking and deliver directly to the destination(s) of your choice. As well as our ‘Express Same Day’ service, we offer more flexible same day and next day services for less time critical consignments. All of our vehicles and drivers are fully insured, vetted and trained, so you can rest assured that your goods and reputation are in safe hands. As well as our own modern fleet of vehicles we have access to over 30,000 fully insured vehicles nationwide, ranging from motorbikes to articulated trucks. Therefore, we can accommodate almost any type of logistical requirement you may have. Call our Warrington office NOW on 01925 648148 and we will promptly dispatch a vehicle to collect your goods in less than an HOUR! Warrington was founded by the Romans at an important crossing place on the River Mersey. Later, a new settlement was established by the Saxons. By the Middle Ages, Warrington became a market town primarily producing textiles and tool. Historically in Lancashire, now Cheshire, the expansion and urbanisation of Warrington coincided with the Industrial Revolution, particularly after the Mersey was made navigable in the 18th century. During this time, Warrington embraced the Industrial Revolution becoming a manufacturing town and a centre of for wire making, textiles, brewing, tanning and chemical industries. The Manchester Ship Canal flows through the south of the borough and the M6, M56 and M62 motorways all run through and around the town. During the Second World War, Warrington was the location of RAF Station Burtonwood, which served as the largest US Army Air Force airfield outside the United States. Post WWII Warrington saw heavy industry resume in the town only to decline in the 1970s and 1980s. However, the growth of the town led to a large increase in employment in the light, distribution and technology industries. Now, Warrington has a strong but different economic base to its past, with the retail sector, in particular, providing vast employment opportunities for the people of Warrington and surrounding areas. Warrington has a plethora of sports teams, the most well known being its professional Rugby league club the Warrington Wolves, who were historically nicknamed “The Wire” because of Warrington’s history of wire making. The club moved in 2003 to the Halliwell Jones Stadium, leaving its home for over a century, Wilderspool Stadium.